Vladimir Putin sworn in for fourth term as Russian President; Congratulations President Putin! “I consider it my duty and my life’s aim to do everything possible for the country, for its present and for its future,” Putin said, with his hand on the Russian constitution. Some 5,000 guests were present there at the lavish ceremony in an ornate Kremlin hall. Vladimir Putin has been in the power for 18 years, as president and prime minister. He has effectively been the leader of Russia for all of the 21st century. He stepped down from the presidency in 2008 due to term limits but was named prime minister and continued to steer the Russia until he returned as president in 2012. While not many people were offered the opportunity to shake Vladimir Putin’s hand at his swearing-in ceremony, the leader of the Russian Orthodox church, Patriarch Kirill of Moscow, was there to congratulate Putin. 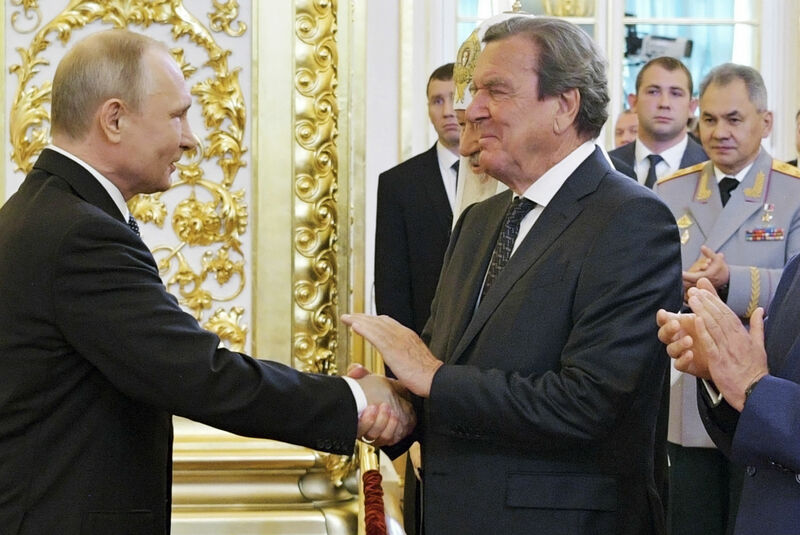 Moreover, Prime Minister Dmitry Medvedev and the former German Chancellor, Gerhard Schröder also waited to shake Russian President’s hand. Vladimir Putin got a record big number of votes in the March 2018 election – 76.7% and secured a new presidential term for himself that will last for six years. As China-Russia relations have been growing at a high level over the years, China congratulates Putin on presidential inauguration.